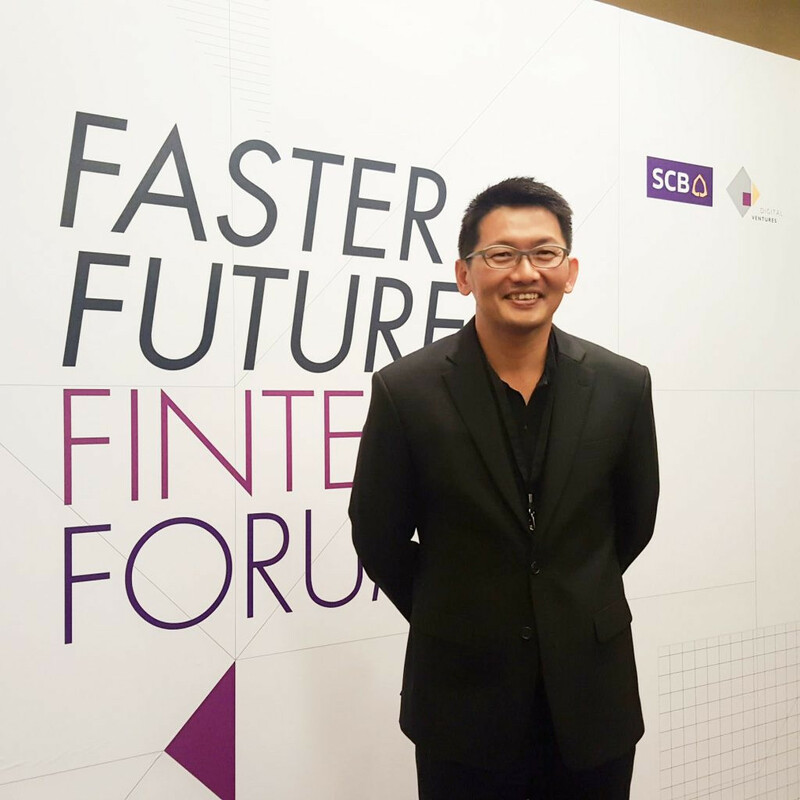 Last week, Siam Commercial Bank (SCB) partnered with Digital Ventures – the bank’s fintech investment arm – to host Thailand’s first-ever fintech investment forum titled “Faster Future SCB FinTech Forum” with an overview of SEA markets and fintech trends in 2017. 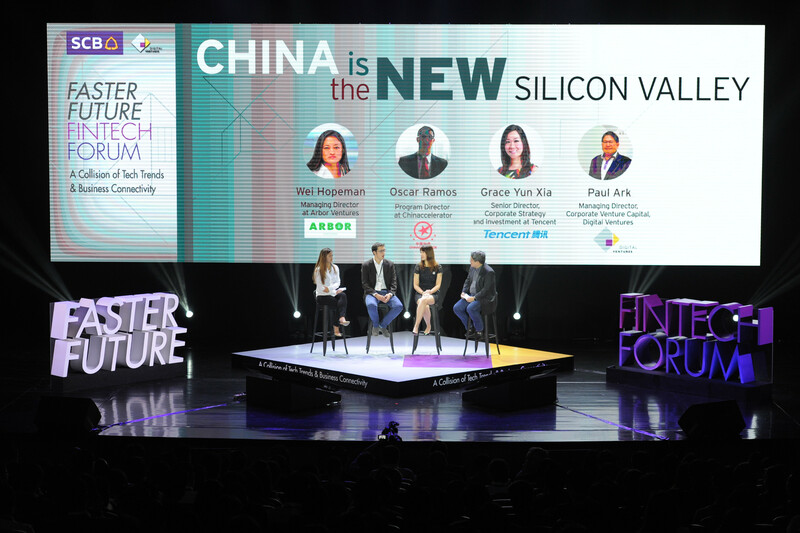 In what is intended to become an annual event, world-class guest speakers held discussions on the emergence of China as a global center for innovation in technology and fintech, the prognosis for SEA markets over the next 3-5 years, and venture capital investment for corporates in Asia. Techsauce was present at the event to bring you a quick overview of the highlights. We also captured an interview with Thana Thienachariya, head of Digital Ventures, who shared with us his vision for fostering Thailand’s fintech ecosystem. The conference kicked off with a session by Jeffrey Paine, Managing Partner and Co-Founder at Golden Gate Ventures, with whom SCB made its inaugural fintech investment last year. Paine, who is one of SEA’s best-known VC gurus, gave an in-depth overview of how the region’s startup ecosystem is looking at the outset of this year. Comparing SEA to other large regions in Asia, SEA’s startup ecosystem currently looks like China in 2006 and India in 2011 (note that China got its start in 2001). SEA is a much less competitive landscape than China and India; whereas a major idea in China might encounter 500-2000 copycats, in SEA if it initially generates 20 copycats, only 5-7 will still be around after the first 18 months. SEA is one-quarter the economic size of China, but has a smaller land mass than China & India and therefore takes less money and is more capital efficient. Regulatory differences (Hanoi vs. HCMC has different regulations! Startup founders must understand) – VCs who want to enter SEA need to be able to navigate the diversity vs. treating it as one homogenous market, finding local talent and people who understand how local markets work and to help get them in front of governments and regulators. Jeffrey Paine, Managing Partner and co-founder at Golden Gate Ventures, also shared noteworthy insights on the hottest fields that we can expect to take off in SEA over the next 3-5 years. Is China the new Silicon Valley? The guest moderator for the session was none other than Paul Ark, Managing Director of Corporate Venture Capital at Digital Ventures and one of the leading minds in corporate investment for SEA. What’s happening in China will most likely happen in SEA in 5-7 years. SEA countries have not seen big platforms like Tencent or Alibaba yet, but their markets are moving in the same direction. SEA entrepreneurs who understand what is happening in China are seeing their own future. Though only 15 years old, China’s VC market is now the second largest in the world. Capital is not just coming from traditional venture firms but from firms like Tencent, Baidu, and Alibaba. 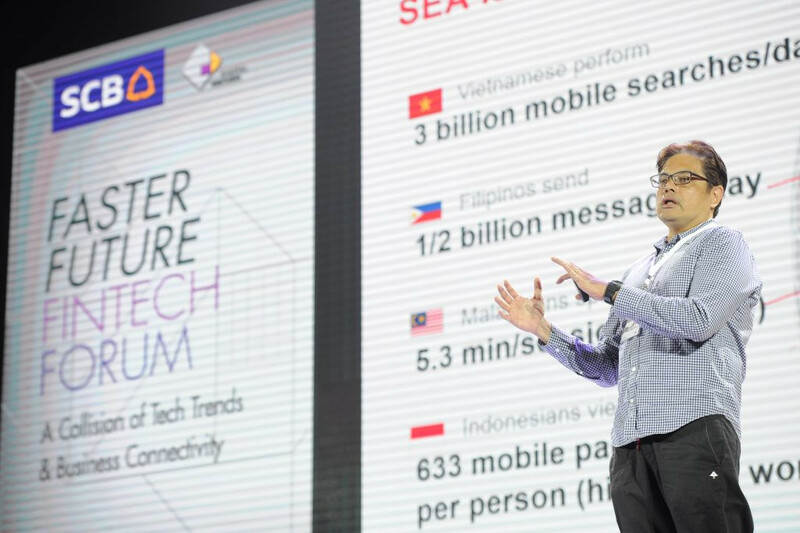 A huge trend is Chinese startups trying to bring their technology to Southeast Asia before anyone else, while Chinese investors moving to SEA and looking to diversify their portfolio. 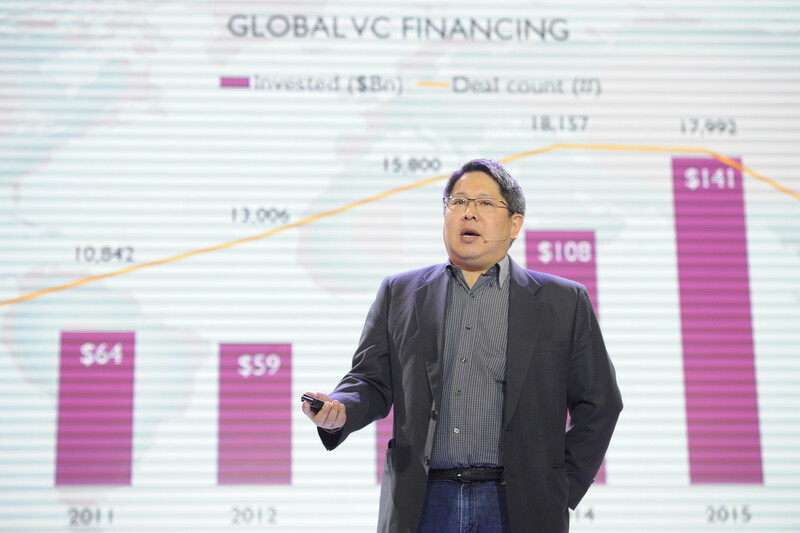 Just as the Chinese corporates are expanding beyond China, Chinese VCs are doing that as well. The Chinese government, instead of jumping into regulatory too early, tends to work with startups to set boundaries, then in partnership with the private sector, come up with a framework that will continue to foster innovation. Not only are many core technologies being produced by China that the outside world is unaware of; the Chinese population is extremely fast and adaptable to tech and the core technologies being produced by its startups. The Chinese can move up a whole generation in tech in the blink of an eye, while even the elderly in China are good at using smartphones. Whether you’re in China or SEA, if you’re a foreign company, having a local partner is an imperative. An amazing phenomenon has been occurring among Chinaccelerator startups: Companies that were able to get some initial traction in SEA but were not able to monetize or convert that traction into sustainable value have gone into China, developed their product in China, become stronger and bigger in China and then returned to succeed in SEA. Paul Ark, Managing Director of Corporate Venture Capital at Digital Ventures also presented an overview of one of the hottest trends among big corporations at the moment, which is Corporate Venture Capital (CVC), summarizing its development in Thailand and throughout Asia. Wave 1: Telecom – AIA, DTAC, True, Ascend – “At the beginning, we saw foreign investors and telcos pick up the charge, because in the early days a lot of innovation was very mobile focused, moving away from innovation and onto mobile platforms and that was where the telco companies really took the charge,” says Ark. Wave 2: SCB, KBank, Krungsri, Bangkok Bank – “Then you had a 4-year gap before you started to see new interest mainly from banks as fintech captivated interest not just of local community but globally. In 2016 & 2017, Thailand’s startup ecosystem has seen an influx of CVC activity with local banks leading the way with over USD $130 million in new investment funds,” he shares. Wave 3: SCG, PTT, Ananda, Sansiri – “Even before banks start to get off the ground, we’re seeing corporates start to invest with startups – creating innovation, starting accelerators, creating funds,” Ark concluded. “For a bank with $80 billion in assets… spending money on accelerators and hackathons is a drop in the bucket, but it can mean life and death to us – that is part of why we invest. It is also a way to source potential acquisitions.” – Paul Ark, MD for Corporate VC at Digital Ventures. In the global VC landscape, Asia has become quite prominent. Out of a global total of $127.4 billion in investment and 13,665 deals in 2016, 31% of all money invested went into Asia, mainly APAC with $39 billion invested and 1742 deals. That’s double what was invested in Europe. 32% of all CVC funding goes to startup fundraising; however, CVCs tend to invest in larger sums and later stages, not so much the early stages. So a lot of Series A or Series B happen with corporate funding. Who are these corporate venturers? A wide array of institutions spanning tech, health care, finance, auto, FMCG, energy & media have joined the VC sphere to foster innovation – everyone from Samsung and Rakuten to those that are non-tech related such as American Express, BMW and L’Oreal.